Harry B and Jay-Z: Are We Missing the Point in this So-called “Beef”? 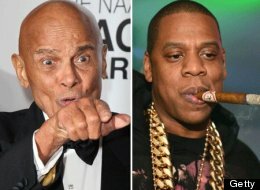 What does the so-called “beef” between 86 year-old singer/actor/activist Harold George “Harry” Belafonte, Jr. (aka Harry B) and 44 year-old hip hopreneur and major cultural force Shawn Corey Carter (aka Jay-Z or Hov have to do with how we address the urgent issues consuming us today? . (Note: I have to give a Blewish side-eye to Harry B, trying to challenge Jay-Z’s “Blackness” when he left his Black wife and children to marry a White, Jewish woman). 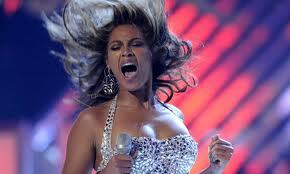 The following week, Beyonce fact-checked Harry B via the Wall Street Journal with a list of her charitable activities. Harry B “declined to immediately return the [Wall Street] Journal’s request for a comment. Jay-Z remained mum about his charitable deeds, listed in Look to the Stars. Read the full lyrics here. That lyric rekindled the public debate. 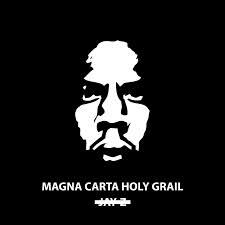 In response, Hov said in an interview with RapRadar that, “I felt like Belafonte he just went about it wrong.Like the way he did it in the media, and then he big’d up Bruce Springsteen or somebody. And it was like, “whoa,” you just sent the wrong message all the way around…Bruce Springsteen is a great guy. You’re this Civil Rights activist and you just big’d up the white guy against me in the white media. And I’m not saying that in a racial way. I’m just saying what it is. The fact of what it was. And that was just the wrong way to go about it. In that same interview, Hov explained his commitment, and respectfully extended the olive branch to Harry B and other elders:I have to challenge even our guys that have done so much for us…I have to challenge them to be honest and … to at least have the dialogue with us to understand. Of course you hear these buzz words, “Hublo homie,” … but you don’t understand … this song is about dealing with survivor’s guilt and how to go about charity. So let’s have that dialogue, period, and let’s hold each other accountable. He shared his approach to philanthropy, and his claim that “my presence is charity”:”Things that I feel are important, I help … sometimes it’s on TV, sometimes it’s not and that’s cool with me. I connect with the things that I think are important, I help in my way. This is going to sound arrogant, but my presence is charity: you know how many people are inspired by my story [of growing up poor in the projects]. So while they’re at least talking about taking this to a higher level, what are WE doing to address the urgent issues (insert your own list here) threatening our non-celebrity lives? Countless folk in social media have invested untold hours pontificating on this high-profile spat. But the real conversation isn’t about celebrity antics. If they can set aside their differences to potentially join forces for the greater good, then something useful might come of this situation. There are urgent, life-and-death issues demanding our attention. We need to transcend this rush to bash-the-celebrity and let their antics fuel our own R/evolution. We all have our differences. But if we can’t move beyond the ego-fueled obsession to be more “right” than the person who sees things differently, we are doomed. If we can’t understand that true and lasting change, the kind that makes life better for people, comes ONLY when folk can “put their egos at the door,” and decide that their common cause is more powerful and important than the fact that have varying perspectives, then we’re giving in to the status quo. It’s about understanding the nature and requirements of social change. It’s far too easy to be social media “keyboard activists,” squandering our time, talents, energy and emotion on knee-jerk social media responses to what celebrities say and do while our lives and futures are in danger. I don’t care whether you think either of these public figures was right, wrong, or justified in their comments. They are relevant only as a mirror in which we can observe ourselves and opportunities to evolve, individually and in community. We’re never going to agree or reach consensus on how we see the world or experience the many aspects of this life. Forget that! Better to study the REAL nature of social activism, of movements that have achieved positive change and contributed to tangible progress. In every case, folk agree that the larger cause is worth setting aside individual differences for the greater good. 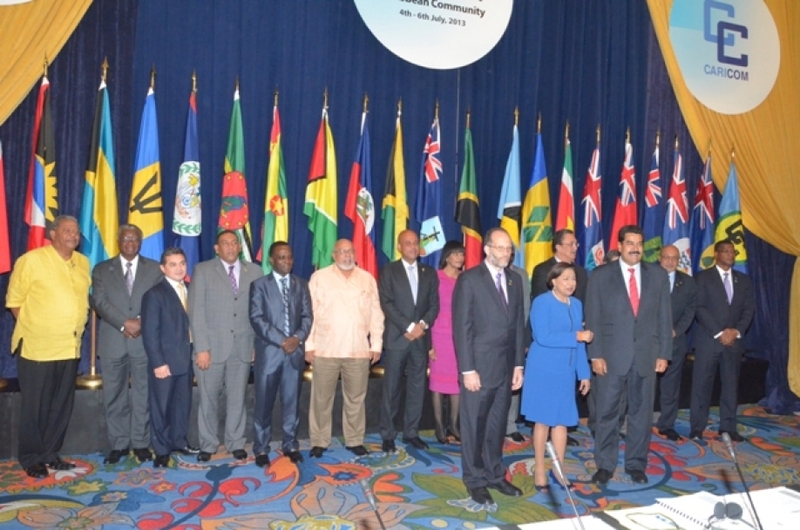 Witness the recent example of the leaders of 14 Caribbean countries joining forces to fight for slavery reparations and genocide, from France and the Netherlands. There are differences in their cultures, and perspectives, but they seem to be setting those differences aside in the name of justice. If Harry B and Jay-Z can do the same, then every one of us—before we rush to choose “sides” in this or the next celebrity “beef,” should examine where OUR prejudices, biases, criticisms and judgments might be holding us—and our communities—back. 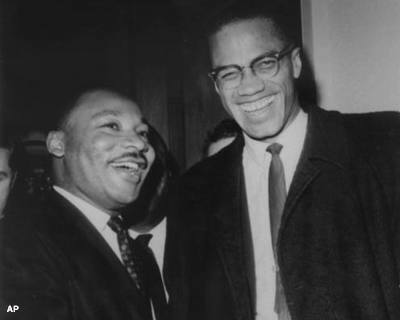 Just imagine if Malcolm X and Martin Luther King, Jr. had joined forces. In the spirit and in tribute to WHOEVER you admire, and WHATEVER inspires you, let’s use celebrities as inspiration rather than distractions, and be about the business of saving our lives, our children, our families, our communities and our world. I freed a thousand slaves. 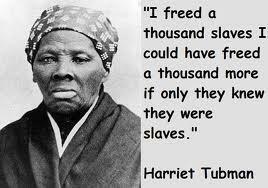 I could have freed a thousand more, if only they knew they were slaves. Let’s KNOW what we have to do and set aside our differences to get it done. Otherwise we’ll be forever enslaved on the plantations of our minds.